Really, #Packers just need 10 yards to get to their own 35 for Aaron Rodgers Hail Mary territory. OT David Bakhtiari back in game for #Packers . Bakhtiari is back at LT.
#Packers LT David Bakhtiari has returned from his knee injury, a great boost for their offense. Halftime coming at perfect time for #Packers . Cowboys owned final 6 minutes of the second quarter. GB leads 21-13, but needs to regroup. #Packers lead 21-13 at the half. All in all, #Packers have to be thrilled with 21-13 lead at half. Secondary is a M*A*S*H unit, though. By the way, the Cowboys could have attempted a free kick after that fair catch. But they declined to do so. 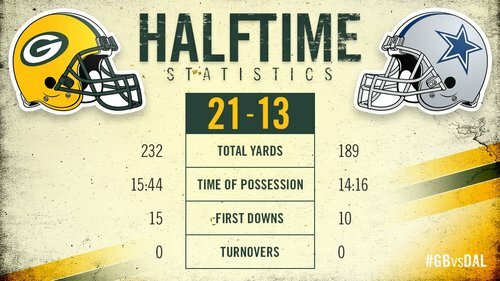 Packers take 21-13 lead into halftime. Aaron Rodgers: 0-for-4, one sack. It'll be really interesting how Mike McCarthy and #Packers offense handle this second-half lead. 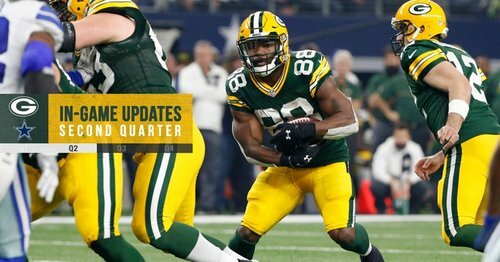 Watch @TyMontgomery2 's second TD of the first half! So Aaron Rodgers is still feeling it guys. #Packers say S Morgan Burnett will not return to the game. #Packers S Morgan Burnett downgraded to OUT for rest of this game with quad injury. Safety Morgan Burnett is out with a thigh injury, it was just announced. 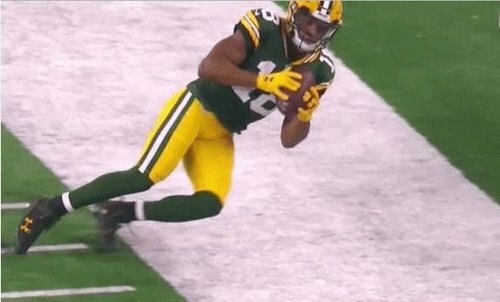 Big loss for the Packers defense. #Packers set that up with screen to Davante Adams a couple plays before, then pump and go deep to Jared Cook. Give Mike McCarthy his props. There was nobody within #Packers TE Jared Cook from here to Amarillo. Entire Cowboys defense sold out against run, play action. Heck of a drive by the #Packers . They march down the field with ease and extend their lead to 28-13. Six plays, 75 yards, 3:35, TD to Cook.